In Florida, because of our beautiful weather and our beaches and waterways, most of us like to drive our cars (and our trucks, vans and motorcycles) to take in the scenery, especially the scenery in and around South Florida (South Beach in Miami, Las Olas in Fort Lauderdale, and Clematis Street in Palm Beach). Which is great, of course. However, more drivers means the higher risk of traffic accidents, like rear-end accidents, which often times lead to victims having to file a car accident lawsuit in order to recover compensation for their injuries. 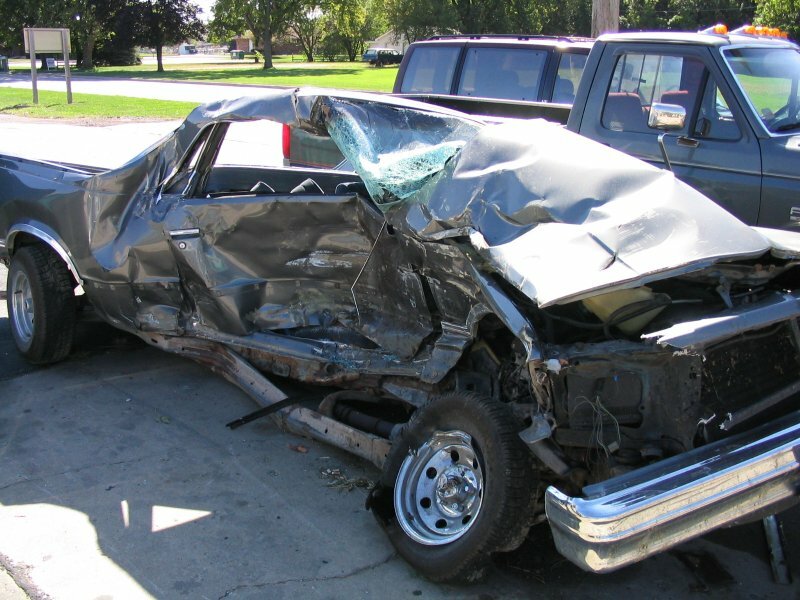 Many of these car crashes are the result of another driver’s negligence. In those cases, the injured victim will seek compensation from the at-fault driver for things like pain and suffering and lost wages. Sometimes, a car accident victim gets lucky by having a fast resolution to their case by way of an insurance company simply writing a check to them. In other situations, there may be protracted negotiations before a settlement is reached. And then there are times when the car accident victim must file a lawsuit in order to recover the compensation necessary to make him or her whole again. Florida drivers have a legal duty to others driving on the road with them (as well as pedestrians, etc.) to operate their vehicle in a reasonably safe manner, including avoiding rear-end collisions and reckless driving and paying attention to the road and not roadside distractions. If they fail to do so, then they are considered to be negligently operating the vehicle and can be held financially responsible for any harm that results to people or property. When workers or employees are entrusted with driving a vehicle as a part of their job, then their employer as well as the driver herself may be held responsible for the damages that result in a traffic accident here in Florida. If the driver of the company car, delivery truck, etc., is found to be negligent in operating that vehicle, then the employer may also be sued and held responsible for damages. Special situations exist for common carriers (e.g., buses). When someone in Florida allows another driver to use their vehicle, and that driver then operates the vehicle in a negligent manner (see number one, above) then the person who owns the vehicle may also be held legally responsible for any harm that results to people or property. Not only are drivers responsible for operating their vehicles safely on Florida roadways, owners of motor vehicles here are responsible for making sure that the machine is safe to operate. If a wreck happens because a bald tire blows out, for instance, than the owner of that vehicle may be legally liable for damages resulting from the accident. Lawsuits can be filed against those who drive a vehicle here in Florida that has defective equipment. Recalls happen daily for things that may cause wrecks, for instance air bags that may suddenly deploy; if there is a crash because of a defect, then both the driver as well as the car maker, the distributor of the defective part, and others may be sued for damages resulting from the accident. Florida drivers need to make sure that a vehicle that is in good operating condition is still safe to drive on the day they use it. Here in Florida, weather conditions can impact a car parked outside for just a few hours. Drivers who don’t drive carefully when it’s raining and the roads are slick or drivers who procrastinate about doing simple things like cleaning a dirty, sandy windshield before they leave the beach can be sued and held liable for damages resulting from a car crash. When a part within a vehicle causes a crash, then the manufacturer of that part as well as the car manufacturer and the driver may all be sued for damages resulting from the accident. These damages can include “product liability” damages as well as negligent claims and are more complicated than the basic car crash case. Road hazards caused by failure to properly maintain a roadway can be the basis for a car crash lawsuit. Again, sovereign immunity law may protect some defendants from liability here. When a Florida roadway is badly designed or there are flaws in how it is built, then those responsible for its creation or upkeep may be held liable for an accident that results. Construction work is a road hazard that endangers workers on the site as well as drivers moving through the work zone. If the construction company or its workers fail to properly protect the drivers in this area and there is an accident as a result, then the construction company may be liable for damages that result from the crash. When someone drinks alcohol at a restaurant, club, or bar, and then leaves to drive a vehicle with blood levels that rise to legal intoxication, the business that served those alcoholic beverages may be sued for any crash that results from his drunk driving under Florida’s “dram shop laws.” Similarly, party hosts who serve intoxicating beverages at their home and allow a driver to leave their party or gathering and drive drunk may be sued for damages that result from any drunk driving crash that occurs. A good piece of advice if you have been harmed in a car accident, is to speak with an experienced personal injury lawyer before you file a claim to learn about some of the issues that can arise with these claims, including the type of evidence needed to prove a claim and the type and amount of damages you can recover. Most personal injury lawyers, like Alan Sackrin, will offer a free initial consultation (over the phone or in person) to answer your questions. Florida Dram Shop Laws: Do Victims Of Dui Accidents Have A Civil Damage Lawsuit Claim Against Bar, Hotel, Restaurant That Sold The Drinks?